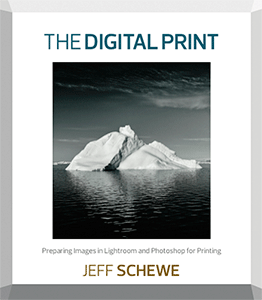 Welcome to The DIGITAL NEGATIVE and The DIGITAL PRINT Book website. I’ll be uploading example images from the books and additional goodies for download. The images from The DIGITAL NEGATIVE book will be DNG files using the most recent lossy DNG option and the DNG will contain Snapshots for both the Before (default) and After (my adjustments) so you can follow along the adjustments shown in the book. The images from The DIGITAL NEGATIVE book offered for download require a password in order to access the Example Images posts to the DNG downloads. 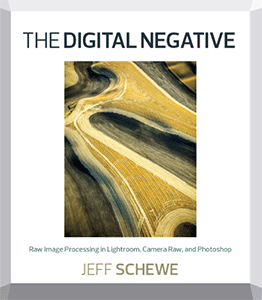 You can find the password in The DIGITAL NEGATIVE on page 42 of Chapter 2 Adobe Raw Image Processing: An Overview. In Figure 2.2, I show a screenshot of one of the initial versions of an application from the fall of 2002 that was a precursor to Lightroom. The name of that application is the password to view the Example Images posts. Note: the password is case sensitive! Once you enter the password for a single post, you’ll have direct access to all the other Example Image posts. I’ll also be posting tips and techniques from time to time as well as links to useful or interesting information relating to raw image processing. While the site is running as a blog using WordPress, I don’t intend to have this site be a place you come on a daily basis. But stop by and say hi and see what’s new every once in a while. I hope you find the book helpful and this website useful. Thanks for dropping by. Will your book be available through the iTunes bookstore? I’m trying to keep my library consolidated in one app. Well, it already is available on iBooks. Do a search for the title. You can also buy it from Peachpit as an epub doc or as a PDF and load it into iTunes to sync to mobile devices…and I just checked and the book is in the iTunes book store. Okay, I’ll check again. When I checked before posting yesterday, I couldn’t find it. Would the epub from Peachpit be the same as buying the iBook from Apple? Same with mobi vs buying directly from Amazon. Would they be the same once loaded? As far as I know, yes…read the installation instructions from Peachpit. I’ve got the MOBI version downloaded and installed in iBooks on my iPads. Many of the site titles, such as the “Leave a comment” title above, run the words together. Would it be possible to increase the word spacing? Also, the posts on the front page are very truncated. I’d much prefer the full article to appear. Thanks for commenting…yes, we’re still tweaking the CSS of the WordPress template. As far as the front page summary, I really want to keep the length short while giving a clue what’s in the post. It’s always a compromise. Please put me (along with my wife) down for one of your 2013 Chicago workshops. We have used all of your work over the years to manage our images and have wanted the opportunity to have a workshop to explore in greater depth the capture and processing of our photographs. I had a question about – Figure 1.22 Comparing the adjusted JPEG and raw images. It looks like the images are reversed? Or am I missing the point? Yes, I see it, but as I said – it looks reversed to your descriptions under each image. Can I email you a screen shot from my iPad? But the point is, the JPEG had blown out unrecoverable highlights while the raw file had lots of highlight editing room. Actually, I just checked the epub and yes, the subfigures are reversed…sorry, errata! I’ll report it. I’m logged in, but the protected articles still want my password. And then they don’t accept it when I enter it. Never mind – wrong password. I need the one from the book, not for this site. Just got the hardcopy version from Amazon. Not sure if you are aware of this, but several pages in the book seem to be printed in bold (or, more ink than normal was used…). Pages 69,72,73,76,81,84. No big deal so far as reading the text, BUT, the LR screenshots on those pages are unreadable. Not sure if this is just my copy or something universal. I just checked my copy and they are fine…so it’s either your copy of a small number with a printing defect. Pretty sure you can contact Peachpit to get a replacement copy. I assume this book replaces your “Real World Camera Raw” series. Is your discussion based on the new controls and features of Camera Raw in CS6? Thanks. do you know if a license for a German edition is still available? That would be something to direct to Peachpit…I do know that foreign language editions are being worked on. But I don’t know what languages. excellent work. Brilliantly written and a joy to work with. Your book is not for the faint hearted, but doing anything to a high standard is not for the faint hearted whether it be photography or cross country running. I did have to apply myself and work at your book, but the reward was a much better appreciation of the power of Lightroom, Photoshop and Camera Raw. So thank you. Thanks for the kind words…yes, the book can be uh “difficult” because I cherry picked the topics and aimed high rather than low. That does tend to make the user work a bit harder…but ends up benefiting the reader in the end (I hope). I can’t say enough about what a great job you have done on both books, I own both the Digital Negative and Digital Print and am on my second read. In my opinion no one explains this stuff as well and as thoroughly as you do! One of the things I really appreciate is that you provide sample images and at a resolution that allows the reader to really see what’s going on. Opening the files and viewing your adjustments on my display has really taught me just how much more I could have been getting out of my own images but was leaving on the table so to speak. I especially have learned a lot from viewing your sharpening and noise reduction adjustments, an area where I sometimes feel that I could do much better. On the subject of sharpening, do you have any intentions of posting the high noise examples from the books? The photo of the church interior from the digital negative and the room interior from the digital print would be very helpful if they were available. Thanks again for the great books!